Whether your cat’s a couch potato or an outdoor adventurer, the winter weather can bring certain dangers, and we have created a list of some of the most common to look out for. 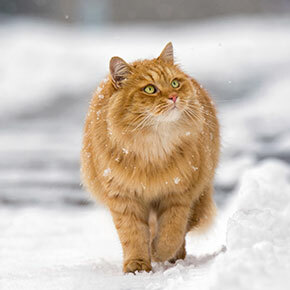 In terms of preparing for winter, the best thing you can do for your cat is to bring it to Edgewood Veterinary Group for a winter check-up, so our vet, Jürgen, can make sure there are no medical conditions that may make it more susceptible to the cold. Simply contact us and one of our team will book you in for an appointment. Here are the main things to look out for when the temperature plummets. Antifreeze and de-icer. These substances are very toxic for pets and especially cats, who like their sweet taste. Keep antifreeze out of the way and be sure to clean up spills. Cars. Cats like to shelter under cars in the cold and wet so check your wheel arches before setting off. Salt and grit. If the gritters have been out, the substances they spread can be irritants to cats’ paws – even poisonous if your pet licks its paws, so try to wash them if they do come into contact with salt and grit. Plants. 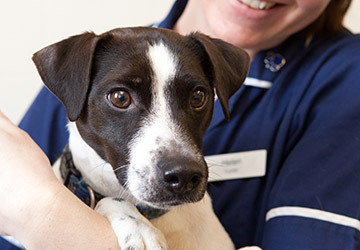 At this time of year there are several popular plants which are toxic to pets, among them holly, ivy and poinsettia. 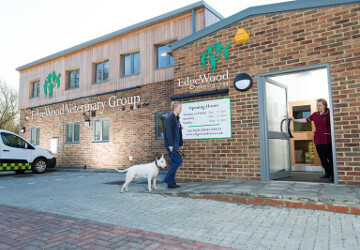 If you’re uncertain about whether a particular plant is safe for your cat, the friendly team at Edgewood Vets will be happy to advise when you call on 01621 828381. Festive food. You may be stocking up on goodies ahead of the Christmas season, so do be aware that some of them, including chocolate, alcohol and raisins, are toxic to pets. Winter blues. Because they may be less active during the colder months, cats can get a little depressed, become lethargic and put on weight. Try to keep your pet occupied and active by providing plenty of toys and distractions around the home. 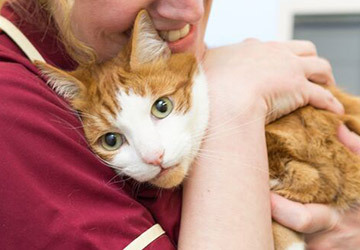 Most winter hazards can be avoided if you know what you’re looking for, and the cold shouldn’t be an issue if your pet is in top condition, so to put your mind at rest, why not book a winter check-up before the weather strikes?